Want to enjoy a day of splashes and amazing scenery this summer? Take one of the America’s top whitewater rafting trips. 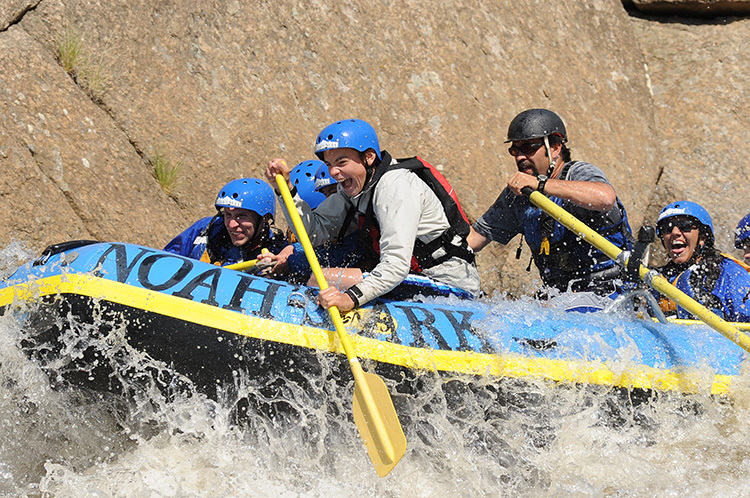 Photograph Courtesy of Noah's Ark Whitewater Rafting & Adventure Co.
Summer is here and now is the best time to enjoy a whitewater adventure with friends and family. 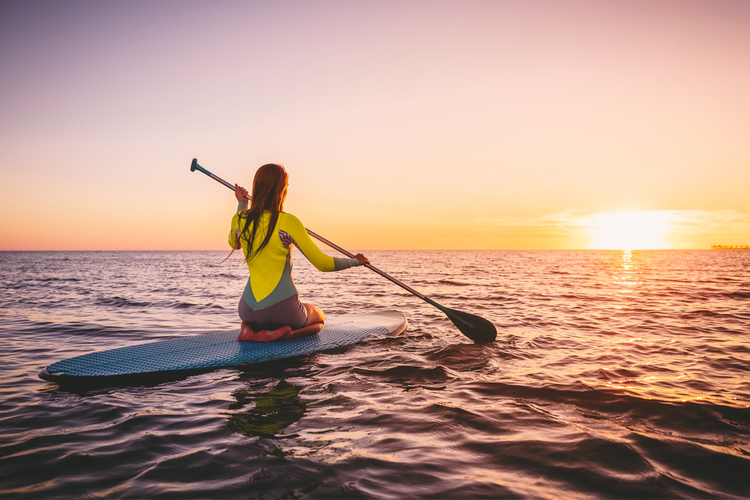 Outfitted trips can be found all across the U.S. and day trips are a great way to introduce yourself to the paddlesports. All you need to bring is your swim trunks, sunscreen and a spirit of adventure. 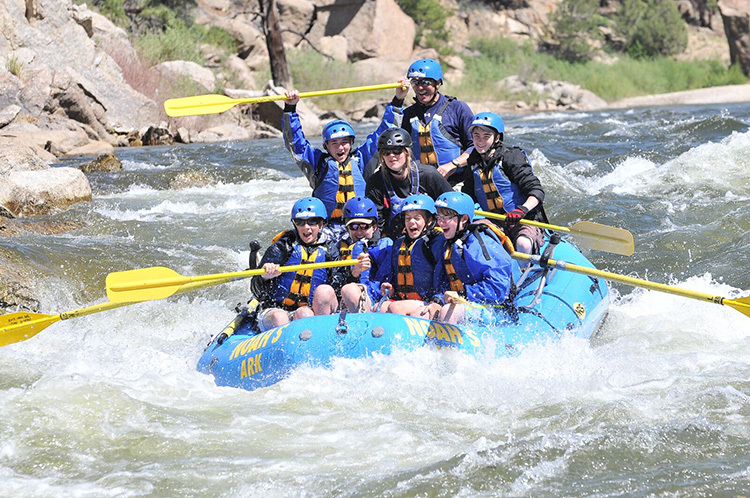 Here are five of our favorite whitewater rafting trips from coast to coast. Maine’s Kennebec River is ideal for beginners and offers tons of fun amidst the beauty of the Northwoods. 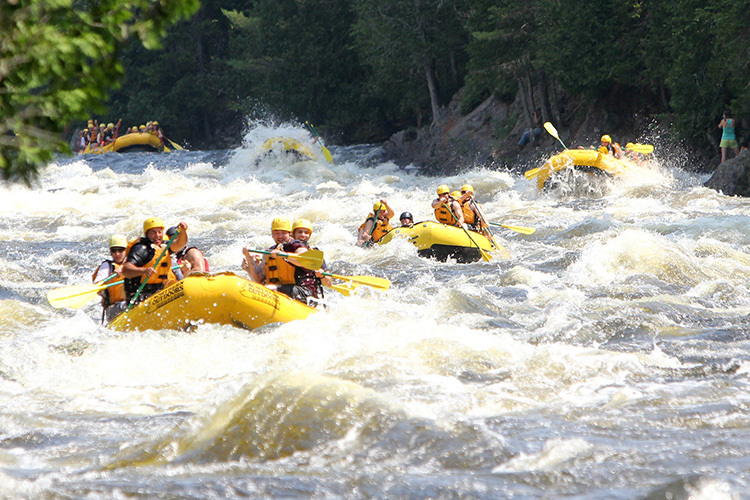 Splash your way through the heart of Maine’s Northwoods on the Kennebec, which offers consistent Class II-IV whitewater rafting from May through October. It’s an ideal rafting trip for first-timers, combining rapids, scenery and wilderness—in that order. The whitewater comes in the first few miles, and then, after a fire-grilled lunch on a riverside beach, a peaceful afternoon float leads to the take-out. The main action is right out of the gates in the 3.5-mile section from Harris Station Dam to Carry Brook, serving up two miles of Class IV big water, spelling splashes and fun. You’ll get doused in such rapids as Alleyway, Cathedral Eddy, aptly named Z-turn and Magic Hole, the section’s biggest drop. A route called the Highway just left of center gets you through clean and avoids a washing machine ride in a hole called Maytag. After the rapids, most commercial trips continue on for another nine, wilderness-filled miles to your take-out at The Forks—leaving you plenty of time to dry. Originating in Yosemite National Park, the granite-lined Tuolumne River, just below Hetch Hetchy Reservoir, harbors California’s best rafting whitewater. The 18-mile stretch teems Class III-IV pool-drop rapids, letting you catch your breath between dousings. En route you can also fish its clear pools and hike its side creeks, including the Clavey, whose Olympic Pool is a great place for a plunge. The action starts with Rock Garden and Nemesis rapids before you reach the Clavey, one of the last free-flowing rivers in the state. Just below lies Clavey Falls, the biggest rapid on the trip. From here the river calms, with jumping rocks, broad, sandy beaches, swimming pools and easier Class II-III rapids. But don’t get too lulled; Class IV Grey’s Grindstone, Cabin and Hell’s Kitchen still lurk below. The run ends in Don Pedro Reservoir, where, if it’s full, a boat shuttle can tow you the last mile to Ward’s Ferry Bridge. Quick tip: Save energy for the steep hike back to your car. While West Virginia’s Gauley River courses 105 miles through the Appalachian Mountains, a 20-mile stretch below the Summersville Dam serves up some of the best whitewater rafting in the country. The cornerstone of the Gauley River National Recreation Area, the section is run by outfitters from spring to fall, rainfall permitting, but the best time is Gauley Season, which starts the Friday after Labor Day when the Army Corps of Engineers begins a series of 22 controlled, 2,800-cfs water releases on six successive four-day weekends (Friday through Monday)—thanks to the first-ever law in the country mandating recreational whitewater releases. The whitewater sections include the 9.8-mile, Class IV-V Upper and the slightly easier Class III-IV Lower, connected by an easier 5.5-mile middle section. After marveling at the water flumes jetting out of the dam, the Upper starts fast and furious with such rapids as Insignificant and Pillow Rock (near where 1861’s Battle of Carnifex Ferry took place, resulting in a Union victory in the American Civil War). In your own war against the river’s whitewater, up next comes Lost Paddle Rapid, Iron Ring and Sweet's Falls. The Lower’s rapids are slightly easier and more spread out, but still world-class. Included are such cascades as Wood's Ferry, PJ’s Hole, Julie’s Juicer; Canyon Doors and good ol’ Rocky Top. The run finishes out with the wave trains of Heaven's Gate, Upper and Lower Staircase and Rollercoaster. Quick tip: If you’re into the party scene as well as paddling, visit during Gauley Fest weekend (the third weekend in September), a fundraiser for river conservation organization American Whitewater. Brown's Canyon on Colorado's Arkansas River offers thrills at every turn. And when you're finished you can refreshments at the nearby town of Salida. In 2015, President Obama designated 21,586 acres of pristine canyons, rivers and forest in Colorado as Browns Canyon National Monument, one of the newest park designations in the country. 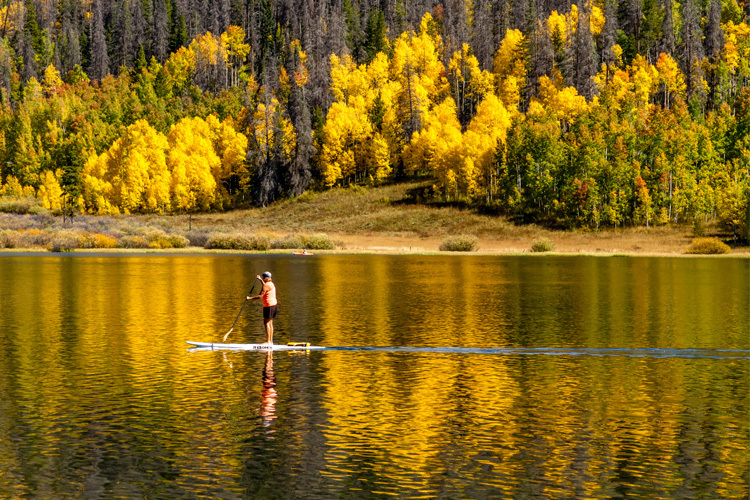 At its core is Brown’s Canyon itself, a 13-mile gauntlet between the mountain communities of Buena Vista and Salida serving up the Centennial State’s best splashes. Dropping 31 feet per mile from Fisherman’s Bridge to Stone Bridge, Brown's Canyon is by and large the top Class III run in the Rockies. Threading through a tight canyon of smooth rounded granite, while offering glimpses of the 14,000-foot, snow-clad Collegiate Mountains, it offers wave-filled fun at every turn, from Canyon Doors marking the start of the whitewater to Pinball, Zoom Flume, Giant Steps and Seidel’s Suckhole. Quick tip: Stroll through the community of Salida afterward for a riverside beer. Forming the northern boundary between Georgia and South Carolina, the Chattooga will forever be linked with the canoes and crazy locals of Burt Reynolds’ Deliverance. 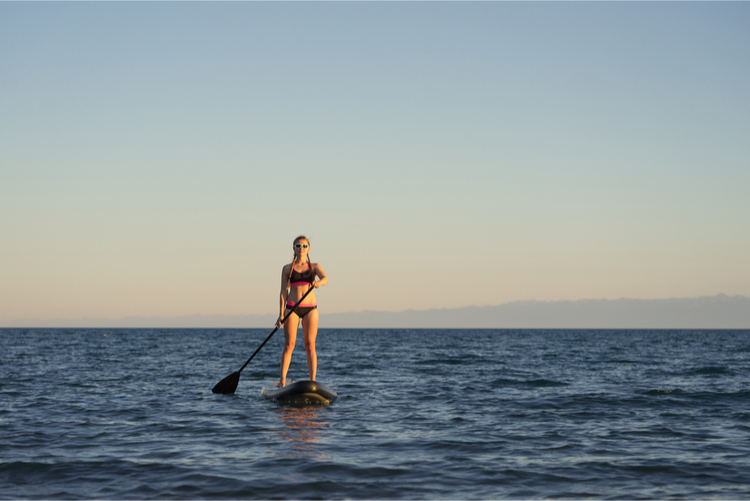 But there’s far more to this paddling gem than what Hollywood portrayed. In 1974 the Chattooga became the first river east of the Mississippi to earn Wild & Scenic status. On its commercial stretches (Sections III and IV), a quarter-mile corridor of land on each side is protected, prohibiting development. Add world-class whitewater and the granite of the Blue Ridge Mountains and it’s a rafting wonderland. 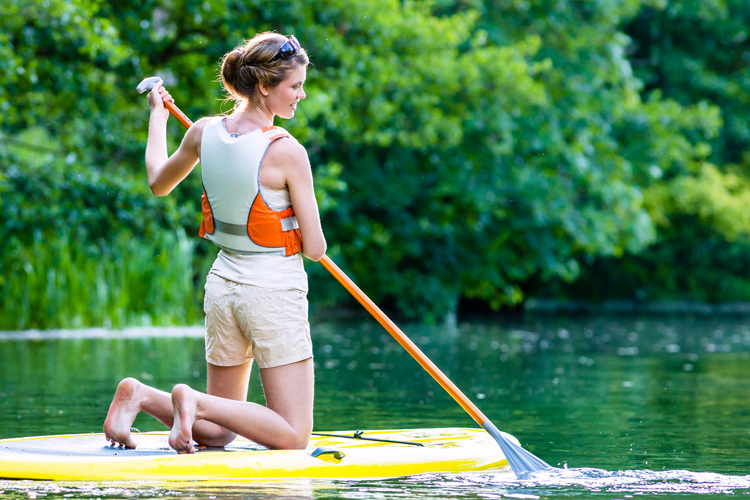 The river offers something for every skill level, from mellow Class I to hair-raising Class IV. The easiest is Section II, a seven-mile Class II stretch from US Highway 28 to Earl's Ford. The action picks up with Section III, a 13-mile Class III stretch highlighted by Class IV Bull Sluice (Hint: hit it in June when the mountain laurel is in full bloom). Section IV is spicier, including numerous Class III-V rapids, including Five Falls, which harbors five Class III-Vs in a quarter-mile. To fully immerse in its wilderness, try an overnight trip—just bring your own banjo for the campfire. Info: www.wildwaterrafting.com. Never gone whitewater rafting before? No worries. These simple tips will help you help you prep for your adventure and look like a seasoned river runner. 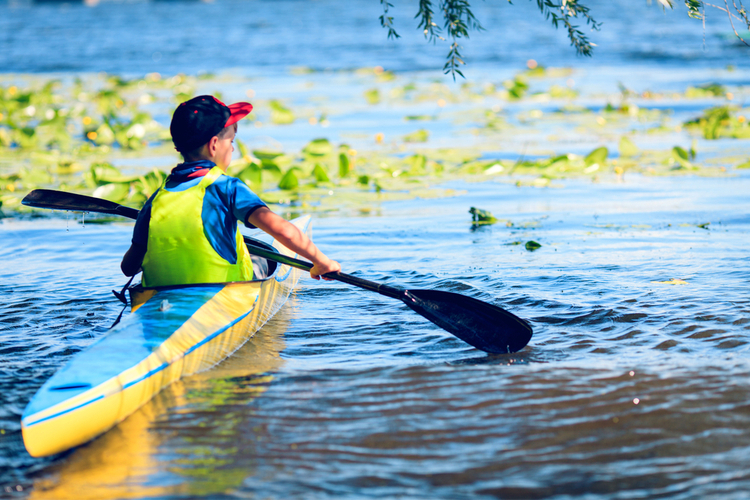 There are two ways to raft a river: on an oar boat or paddle boat. Oar boats: On these craft your guide will do all the work, sitting in the raft’s center rowing while you sit in the bow or stern. Paddle Rafts: On paddle rafts, which are splashier, the guide sits in the stern calling out commands while the passengers paddle as a team. Carry a carabiner or two to clip personal items into the raft. Located 90 minutes from Portland, the White Salmon River is one of the best-kept rafting secrets in the Northwest, serving up great Class III-IV rapids in the shadow of Mt. Adams. Cutting through a beautiful, heavily forested gorge from BZ Corners to Husum Falls, the Middle White is known for its gin-clear waters, tight, twisting canyon and continuous rapids around every bend. When the water is low you can launch another two miles upstream, adding such rapids as S-turn, Top-Drop, The Flume and Bombers’ Drop (and portaging around BZ Falls). You might also be able to run Husum Falls for an exciting, sinus-douching grand finale. Also ask your outfitter about the lower section, which has only been run since the heralded removal of the Condit Dam in 2011. The freshly canyon now allows passage and flows for paddlers and fish, with few remaining signs of a dam that stood for almost 100 years. Navigating a narrow canyon buried for a century, you’ll portage around Class V Steelhead Falls and float flatwater for the last mile before the Columbia River.